• Noise-free technology filters modified sine wave & eliminates horizontal lines & static that can appear on TV sets. 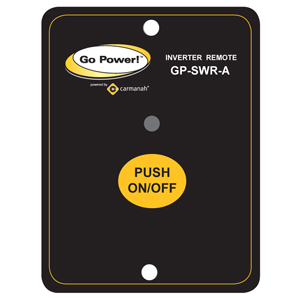 The new compact GP-SWR-A remote features an LED indicator indicator showing inverter status, ON/OFF switch and 25" of cable. 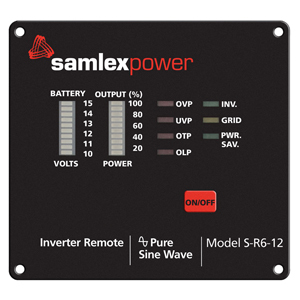 This remote can be used with the GP-SW1000, GP-SW-2000 and GP-SW3000 inverters. 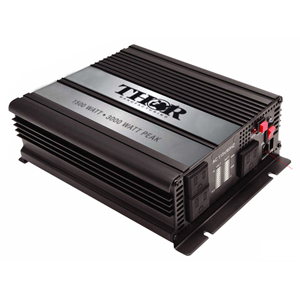 GP-SWR-A is compatible with both 12V & 24V inverters. 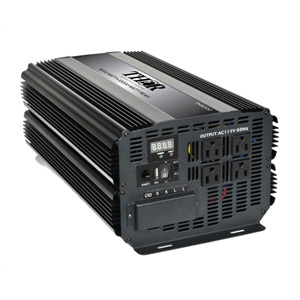 800W max power, 400W continuous ; 2 grounded AC receptacles, 1 USB Outlet ; Smooth-start technology gradually & safely ramps up output voltage ; Manual reset if inverter shuts down ; Noise-free technology filters modified sine wave & eliminates horizontal lines ;& static that can appear on TV sets ; Turbo cooling fan; Power Indicator lights; Built in housing mounts for permanent installation; Battery clip connectors and 12 Volt DC Plug included. 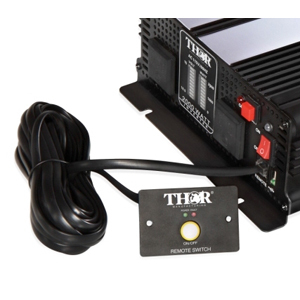 If you looking for a reliable unit look no further, with Thor you get what you pay for. 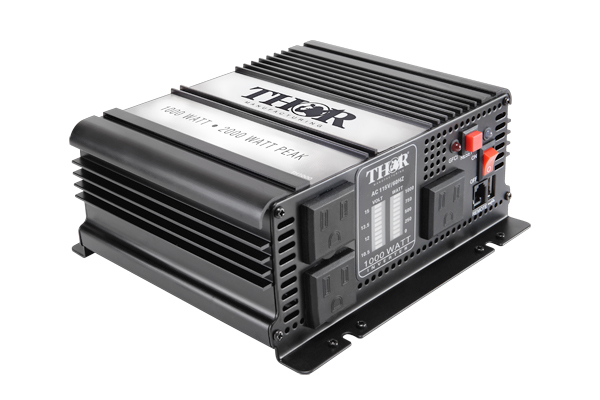 The Thor units are built to professional grade standards that will meet and exceed your expectations. 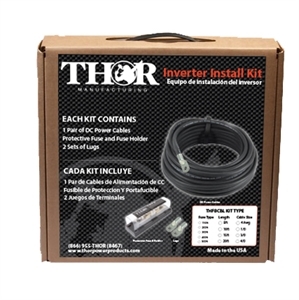 The next time your inverter leaves you stranded, think Thor! The Go Power! 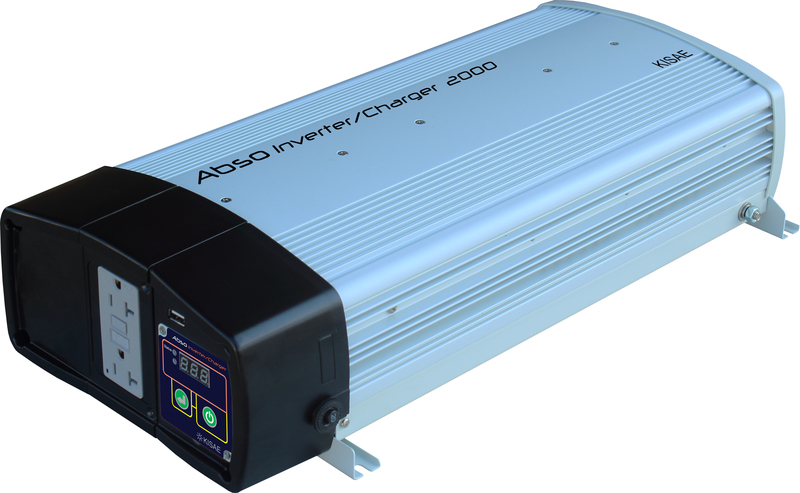 3000 watt pure sine wave inverter takes 12 volt DC battery power and converts it to an exact replica of AC houshold power. The Go Power! 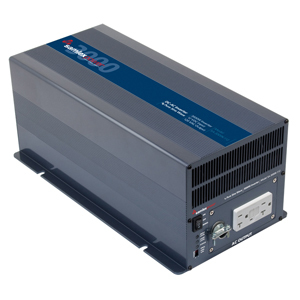 pure sine wave inverters are guarenteed to run any load within their wattage range. The Go Power! 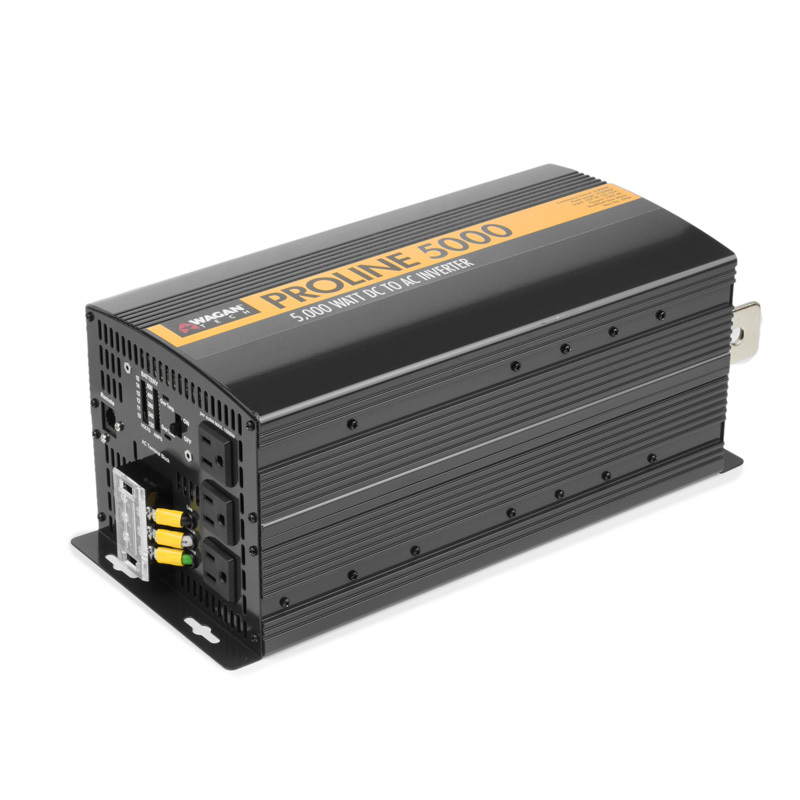 pure sine wave 3000 watt inverter has a 2 year warranty. 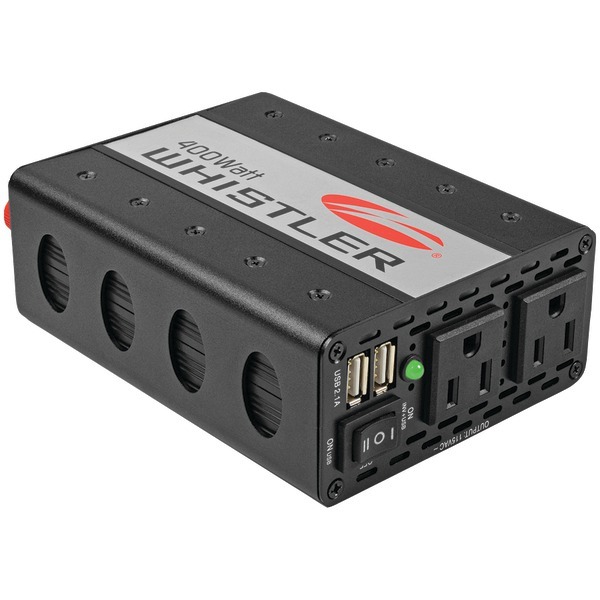 This inverter has two GFCI outlets and can use the GP-DC-KIT5 to connect to your batteries with ease. 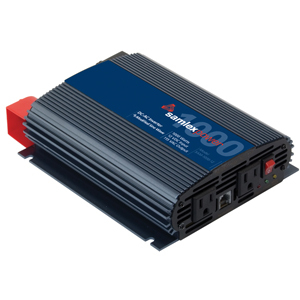 As long as the load is not greater then 3000 watts this inverter will run it. 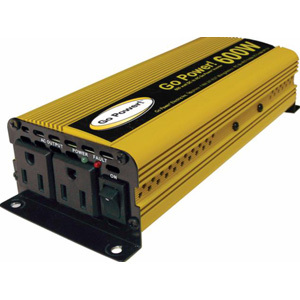 The GP-SW3000-12 can surge to 6000 watts. All instructions are provided. The Go Power! 1000 watt pure sine wave inverter takes 12 volt DC battery power and converts it to an exact replica of AC houshold power. The Go Power! 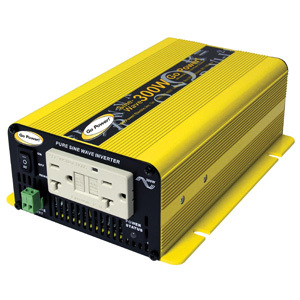 pure sine wave inverters are guarenteed to run any load within their wattage range. The Go Power! 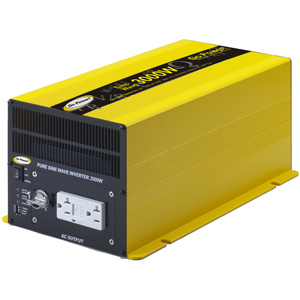 pure sine wave 1000 watt inverter has a 2 year warranty. 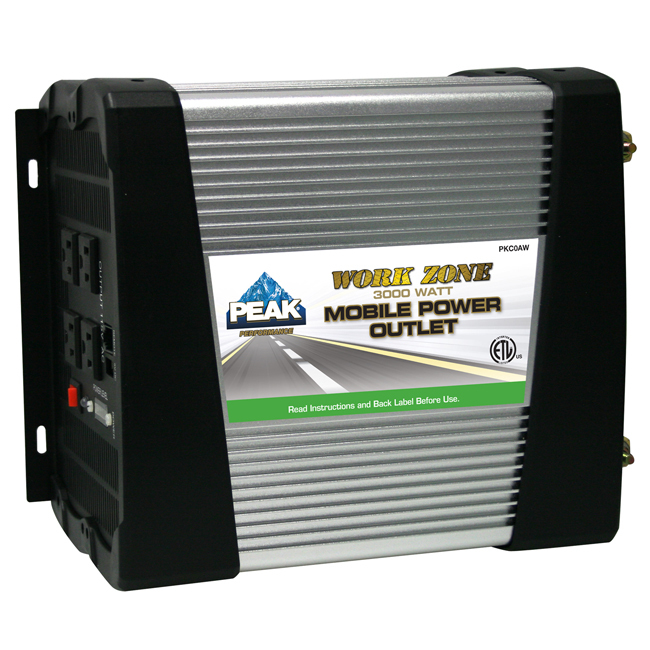 This inverter has two GFCI outlets and can use the GP-DC-KIT2 to connect to your batteries with ease. 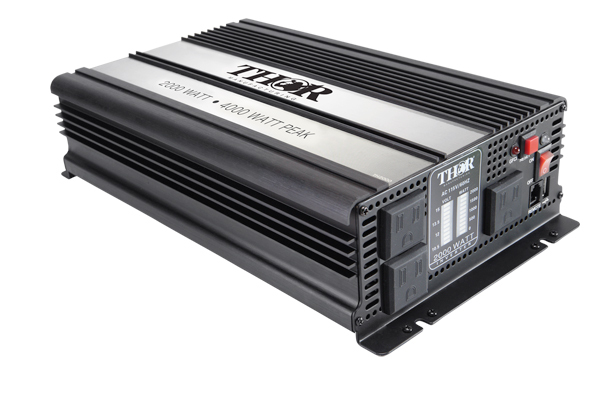 As long as the load is not greater then 1000 watts this inverter will run it. 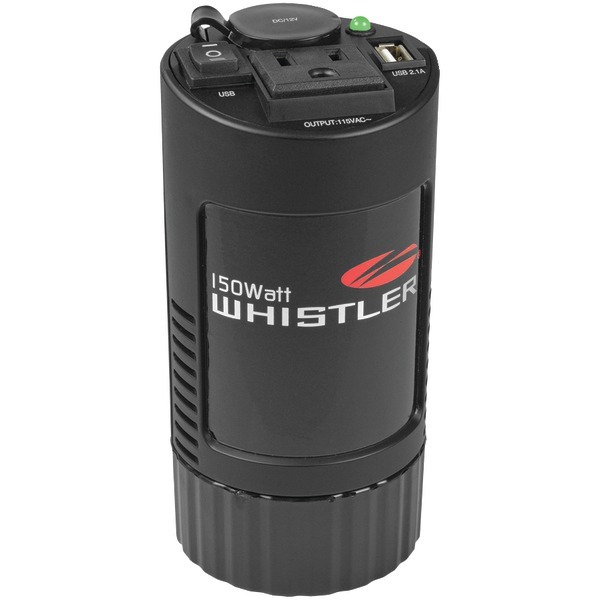 The GP-SW1000-12 can surge to 2000 watts. All instructions are provided. This Go Power! 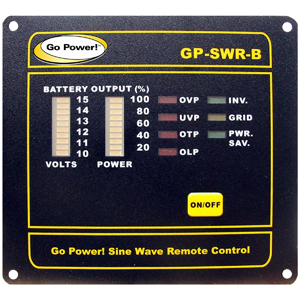 on off remote is used with the GP-SW1000-12, GP-SW2000-12, and GP-SW3000-12 versions. The remote has a LED display for power use and battery voltage and is used to turn the inverter on and off. All instructions are provided. 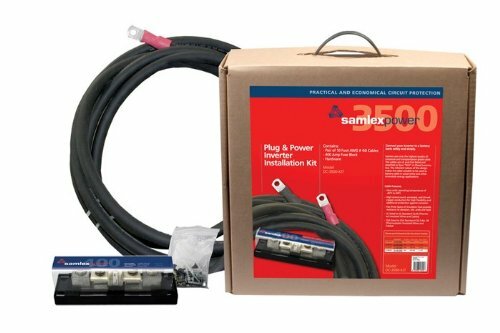 Samlex Inverter Installation Kit contains a pair of heavy duty cables and a fuse assembly that is used to connect the inverter to the battery bank. 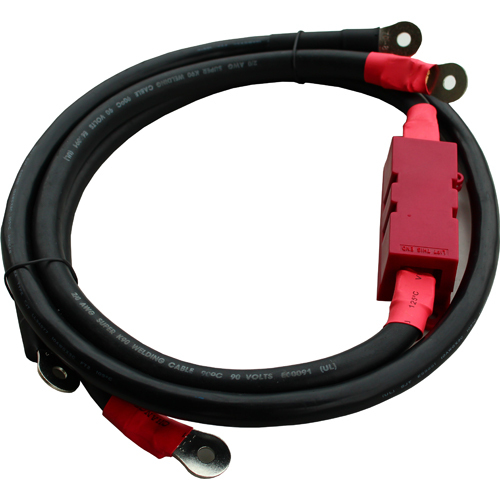 The fuse protects your equipment in the event of a battery short-circuit and the cables provide a safe and easy plug and play connection. The Go Power! 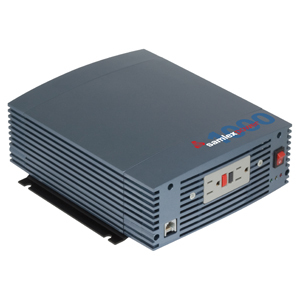 300 watt pure sine wave inverter takes 12 volt DC battery power and converts it to an exact replica of AC houshold power. The Go Power! 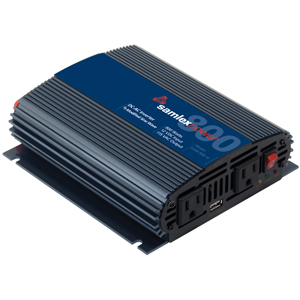 pure sine wave inverters are guarenteed to run any load within their wattage range. The Go Power! 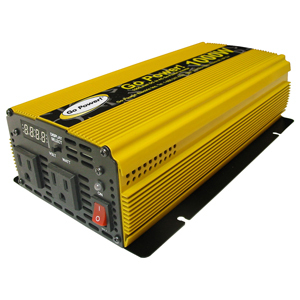 pure sine wave 300 watt inverter has a 2 year warranty. 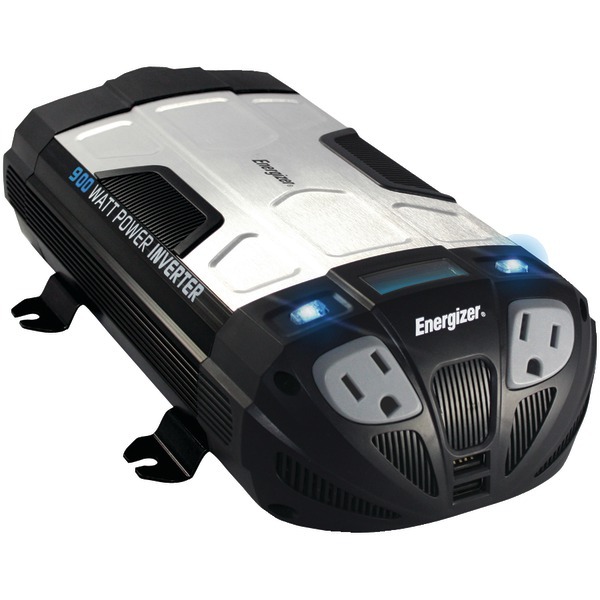 This inverter has two GFCI outlets and includes cables to connect to your battery with ease. 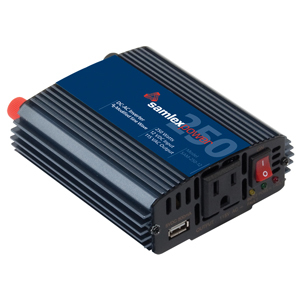 As long as the load is not greater then 300 watts this inverter will run it. 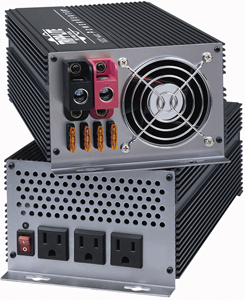 The GP-SW300-12 can surge to 450 watts. All instructions are provided. The Go Power! DC installation kit number 5 is used to quickly and safely connect you inverter to your batteries. 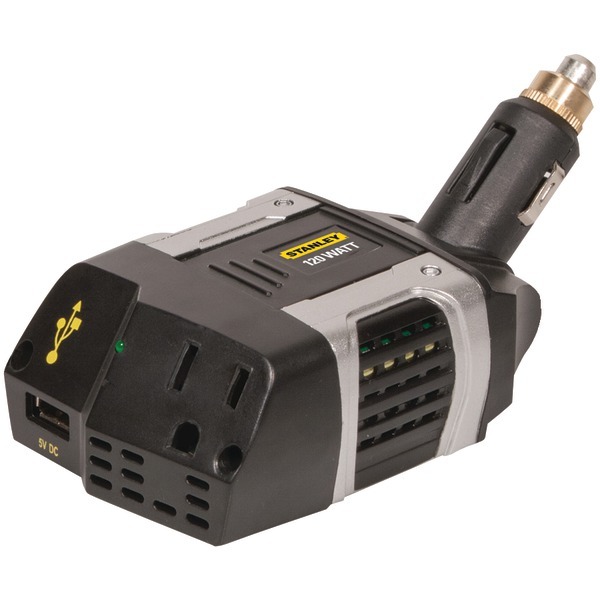 It comes with 10 feet of 4/0 cable with a 400 amp class T slow blow inverter fuse. 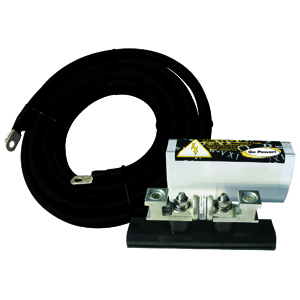 This kit is used on 12 volt inverters renging from 2600 watts to 3000 watts and 24 volt inverters ranging from 4100 watts to 6000 watts. When installing the fuse be sure to put it on the positive cable as close to the battery as possible (usually within 2 feet). All instructions are provided. 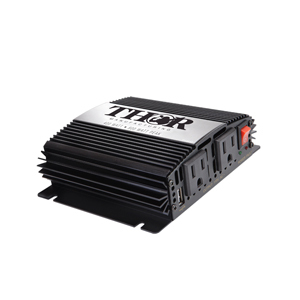 Remote power Switch allows THOR Inverters to be controlled remotely in vehicle, Flush mount up to 20 feet away from the inverter,Power / Fault LED's indicate inverters status, Connects easily & Securely to TH1000, TH2000 & TH3000 Inverters.